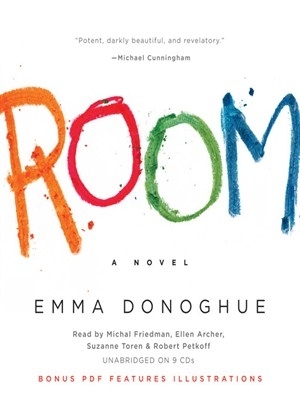 Cover of “Room” by Emma Donoghue. This entry was posted in Reading Books and tagged book review, books, childhood, fiction, recovery, resilience, trauma, women writers on 23/09/2015 by nissetje. 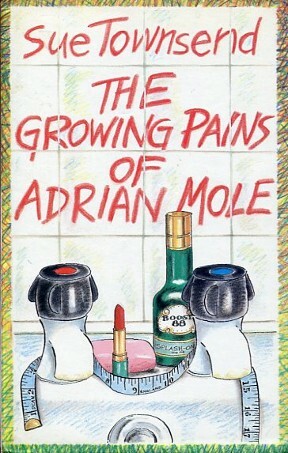 Last week I offered to lend the first two Adrian Mole books (The Secret Diary of Adrian Mole aged 13 3/4 and The Growing Pains of Adrian Mole) to a friend’s kids. I dug them out of the pile of Books I’ve Read and Am Not Ready to Give Away (a bookshelf in my studio). But once I’d laid eyes on them, I just had to re-read them before lending them out. This entry was posted in Everything, Reading Books and tagged book review, books, fiction, humour, women writers on 17/09/2015 by nissetje. 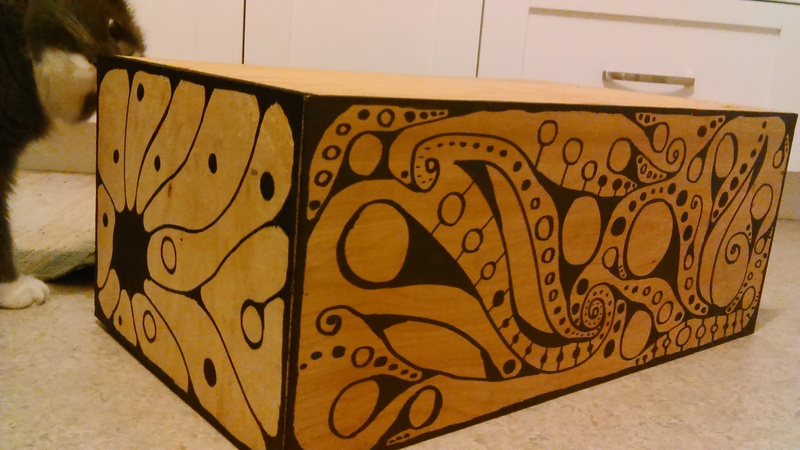 My improvised laptop stand: a thin wooden box decorated by yours truly. The grey cat is inspecting it for crumbs. This past Saturday, I did my first ever solo DJ gig. All me, all night, booked for three hours. I was excited and terrified, since the longest set I’ve ever done in public before was only forty minutes, and I have always had sister DJs with me as mutual backup and support. The venue was a downtown restaurant. They don’t have a dance floor and they weren’t expecting dancing, although they did know I mostly play house music and were okay with that. I planned to tone it down a bit for the beginning of the evening and so I prepped a lot of chill house, like St. Germain and Laurent Garnier. This entry was posted in Everything, Music and tagged anxiety, DJ, gig, music, women in music on 16/09/2015 by nissetje. Cover of “The Lions of Al-Rassan” by Guy Gavriel Kay. This entry was posted in Everything, Reading Books and tagged book review, books, fantasy, fiction on 14/09/2015 by nissetje. 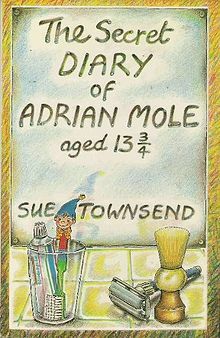 Cover of the book “Olivia Joules and the Overactive Imagination” by Helen Fielding. Helen Fielding gives good dialogue! And she has a knack for portraying the little things that make a character—well, perhaps not entirely believable and real, but very engaging and entertaining. I really enjoyed the first two Bridget Jones books despite the fact that Bridget’s massive insecurities and desperation to snag a man were irritatingly off-putting. I enjoyed Cause Celeb somewhat better although at this moment I can’t remember what it was about. Anyway, Olivia Joules is a great character and I liked her much more than I liked Bridget Jones. Joules is interesting, has some fun quirks, and handles her insecurities with more grace than Jones does. The story zips along nicely, with the expected and the unexpected both given their place. This entry was posted in Everything, Reading Books and tagged book review, books, fiction, women writers on 13/09/2015 by nissetje. 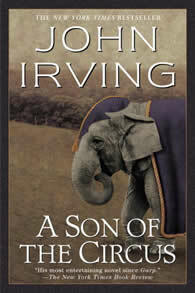 One version of the cover art for A Son of the Circus by John Irving. This entry was posted in Everything, Reading Books and tagged book review, books, fiction on 08/09/2015 by nissetje.